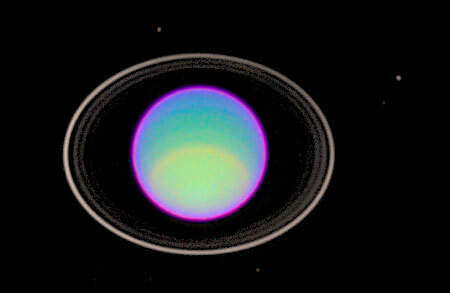 [/caption] While Jupiter and Saturn are mostly composed of hydrogen and helium, the ice giant Uranus is much different. Instead, it is mostly composed of various ices, like water, ammonia and methane. The mass of Uranus is roughly 14.5 times the mass of the Earth. Astronomers think that between 9.3 and 13.5 Earth masses of … Continue reading "What is Uranus Made Of?"